LeoVegas is owned and run by a Maltese company called Leo Vegas International. Available on both desktop and mobile devices, LeoVegas online casino has been dubbed one of the fastest and most user-friendly casinos in Europe. The casino was introduced to the online gambling world in 2012, making it just 6 years old. The site runs both a sportsbook and a casino, so if you’re on the hunt for either, this could be the review you want to read. They cover an array of sports and markets, but the casino games have got to be LeoVegas’s drawcard – not to mention their selection of bonuses and promotions. So, let’s dive in and see exactly what LeoVegas casino can offer you for your gambling pleasure. When it comes to reviewing online casinos, one of the first things we do is head over to the bonuses and promotions to see how we can boost our bankroll right from the beginning and start playing. At LeoVegas, there are different bonuses for different countries, depending on gaming licenses and a few other conditions. For the purposes of this review, we look at what’s on offer to our European players. When you register a new account at LeoVegas, you get 20 free spins right off the bat to play on a couple of different slots. You don’t need to register your payment method or send any ID verification documents through to get your free spins. Bonus! It really couldn’t be easier – you just register and start spinning with your no deposit bonus. When you’re quite ready to start playing games for real money, then you can make your first deposit. Deposit your first deposit of €50 and get 100% match deposit and 25 free spins – that’s double your money! Deposit more than €50 on your first deposit and you’ll get a 200% match deposit bonus. Take note, though, that the maximum bonus amount received is capped at €100. What this means for you is that you must deposit at least €51 to get your 200% bonus and the maximum bonus available is €100. Get another 50% match bonus up to €400 and 25 free spins on your fourth deposit. So, let’s just sum that up here: on your first four deposits at LeoVegas online casino, you get a bonus of up to €2,000 and 100 free spins to get you started. That’s one amazing offer, especially on the free spins side of things, compared to some other big players on the online casino market. Oh, and then there are those 20 free o deposit spins to boot. It’s a lot to get started with, and yet there’s more. In fact, there are several different kinds of promotions regularly on offer at LeoVegas. In fact, when doing our review, we noticed that there’s always some sort of promotion pushing the latest games. For example, free spins on the latest title. There’re also great table game promotions, like the “Fill Your Weekends with Blackjack Joy” that ran throughout the summer. This one lets you play in the LeoVegas Chambre Separee with very special cards dealt to give you access to prizes such as €250 cash, €10 live casino bonuses and even an iPhone for the player who topped the leaderboard. This online casino also runs a monthly prize draw for members of its VIP club. All you’ve got to do is climb the ranks in the club by earning points as you wager. This will also earn you monthly raffle tickets to increase your odds of getting your hands on some seriously exclusive prizes, perfect for VIPs! The casino also runs various day-to-day types of promos, where you’ll receive a notification with special bonuses, according to your level of play within the loyalty programme. The minimum amount you can deposit at LeoVegas online casino is a mere €10, and the minimum you can cash out is €20. That’s really reasonable! What’s more, it really doesn’t matter where you are from, as you can play with peace of mind your local currency, including EUR, AUD, SEK, DKK, CAD, NZAD and CZK. 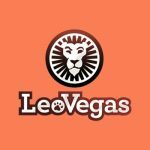 LeoVegas’s payments team promise to try and cash out your withdrawals within 24 hours or less, and that includes weekend, but if you’re quick enough and you really need to, you can reverse or cancel the process. Best of all, if you hit a big jackpot and want to take out your cash, there’s nothing to hold you back. LeoVegas has high maximum monthly withdrawal limits which depend on your VIP level status, but they generally range between €100,000 and €300,000, excluding progressive jackpot winnings. The casino offers three free withdrawals per month. If you want to make more than that, you will be charged €3 per withdrawal. Players at top VIP level can enjoy around 30 free withdrawals. LeoVegas is powered by some of the biggest names in the industry. Here, you’ll find games from the likes of Play’n Go, NetEnt, iSoftBet, Quickspin, Microgaming, Rabcat, NextGen, Thunderkick, Yggdrasil, IGT, Evolution Gaming and many others. That makes for a massive library that is accessible through the site’s web-based platform. There’s no denying that LeoVegas has been designed for optimum variety. That’s why it’s partnered with so many different casino software providers. At this casino, you can let loose and play a massive assortment of truly unique online games. The only place we can fault LeoVegas is that it would be nice to have clearer categorisation to be able to quickly locate the exact game you want to play. Online slots – there are more than 700 titles to choose from for sheer spinning pleasure. Thing along the lines of loved titles like Aztec Warrior Princess, Piggy Wishes, Jurassic Giants, Game of Thrones and then times that by a whole lot of slots awesomeness. Video poker – while the video poker is a little difficult to find, it’s there – you’ll find the games under the site’s Top Games tab. There’s not a huge variety, but enough to keep you busy. Table games – at LeoVegas, there’s a surprisingly large selection of baccarat games, along with firm favourites like blackjack, and several versions of roulette. There’s even the exclusive LeoVegas’ Celebrity Blackjack Party. Progressive jackpots – while LeoVegas isn’t as big on progressives compared to other sites, there are a few to try your luck at. There are also a few casual games within the Top Games tab when you feel like taking a break from the slots and tables. LeoVegas lays out live games like roulette, baccarat and blackjack for your enjoyment. There’s also live casino hold’em, live Texas hold’em and live 3-card poker. If that’s not enough for your live dealer entertainment, there’s even a variety of jackpot games and another area for games that don’t really have a category. LeoVegas has a dedicated Android and iOS app for players in Ireland, Malta, Finland, Norway and Sweden. This is certainly nothing to scoff at. The casino won best mobile casino product of the year at last year’s EGR Operator Awards. For you, that means the best casino app around. In fact, they have 3 dedicated apps: Live Casino, Casino and Blackjack. When you use the LeoVegas mobile app, you will enjoy touch ID for additional security and faster loading speeds complete with HD quality. You can also make in-game deposits in your Live Casino app and enjoy over 600 mobile slots. Don’t worry if you’re not from the eligible countries, the HTML5 site works beautifully through tablet and smartphone browsers. LeoVegas is licensed by both the Malta Gaming Authority and UK Gambling Commission to ensure the utmost security. Proof of address and ID scans are needed to confirm your identity and ensure that your account and funds can’t be accessed by a third party. Software from the top games makers powers all of this casino’s table games and slots. Every game uses random number generators to ensure completely random and fair gaming. As for banking, all your personal and financial details are kept safe and secure with the help of first-class 128-bit SSL encryption. Your personal details are never shared with anyone else, and mobile gamers are assured that all their data is just as secure as when you access the casino in a browser or on any of the three dedicated LeoVegas mobile apps. Never underestimate the quality of customer support at an online casino. While it may not happen too often, there may be a time when you need a little help. At LeoVegas, help is on hand 24/7 in English on the phone, via email or through the live chat function. Service at this casino is prompt and efficient, so you’ll never have to wait long for a solution. 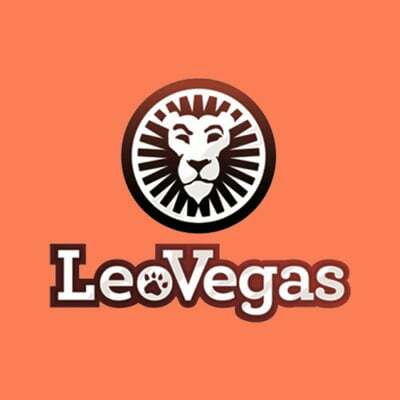 LeoVegas has got to be the perfect match for casino gamers – novice and vets alike. If you’re a fan of live casino games, top of the range slots and a huge selection of table games, there’s no reason not to sign up at LeoVegas. But, just in case you need more reasons, there’s the super-generous welcome bonus, the incredible amount of free spins, the no deposit free spins and tons of promotions along with a nifty loyalty programme. Customer support is available around the clock and there are three dedicated apps as well as an HTML5 browser version to play on the go. All in all, we cannot find fault with LeoVegas, it’s pure online casino bliss!